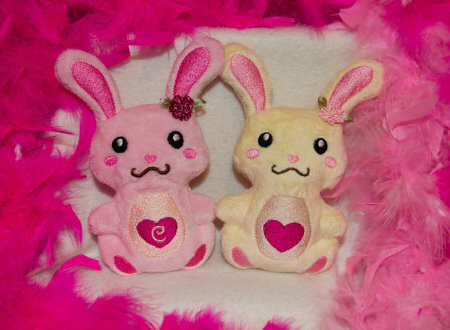 In The Hoop - Lil' Bunny Plush Pals - 3 sizes! - $12.00 : Fancy Fonts Embroidery, Home of the ORIGINAL Trendy Dots Font! 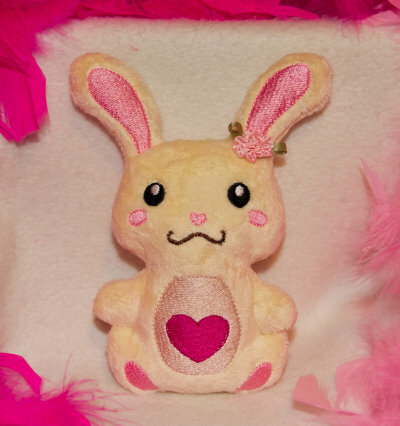 These adorable Lil' Bunny Plush Pals are super quick and easy to make! Make out of minkee, fleece or felt! 3 sizes are included for the 4x4, 5x7 and 6x10 hoops! 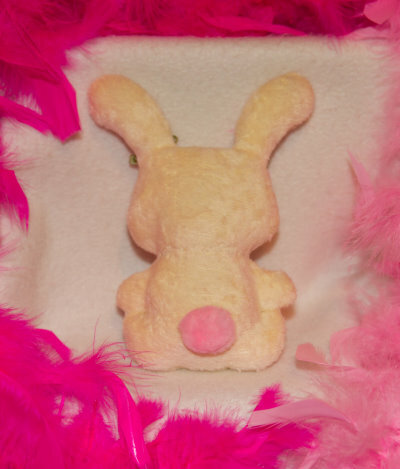 Notice how I added a flower embellishment to the Lil' Bunny's ear? How sweet! I also added a pom-pom for her tail! Also notice in the pink Lil' Bunny I added a monogram letter to the heart on it's belly. You will be receiving all the monogram files already embedded into the design, so no fussing with embroidery software to add the monogram letters! 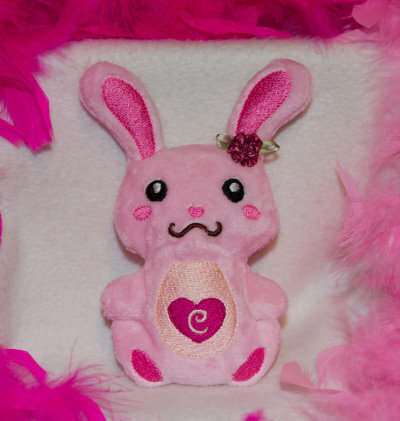 You get to decide whether you would like your Lil' Bunny Plush Pal with a blank heart, or with the monogam letter. The choice is yours! A pdf file with full step-by-step photo instructions is included. You will be amazed at how quick and easy these are to make! Another fun quick and easy design from Fancy Fonts Embroidery!